The Icon line celebrates the Beretta pistols that made history: Model 1915 and Centennial. With bold colours and original graphics inspired by those iconic designs, you won't get unnoticed. T-SHIRT, JERSEY COTTON. 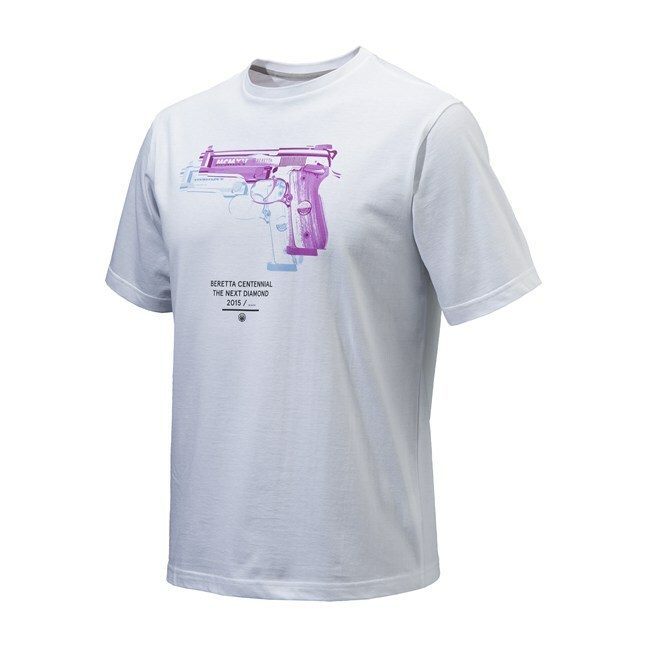 THIS CELEBRATIVE TEE IS DEDICATED TO THE TIMELESS AND ICONIC 'MODELLO 1915' BERETTA PISTOL, RELEASED IN THE SAME YEAR. T-SHIRT, JERSEY COTTON. THIS CELEBRATIVE TEE IS DEDICATED TO THE BERETTA CENTENNIAL' BERETTA PISTOL, RELEASED TO CELEBRATE THE CENTURY of 1915 model.